These priceless words were uttered by Reshma in an interview with a journalist in India. Of course the journalist forgave her for her ignorance when she spoke with such simplicity and innocence in her rustic Urdu. It was this small anecdote and several similar instances that revealed to the world how unbelievably simple Reshma was. 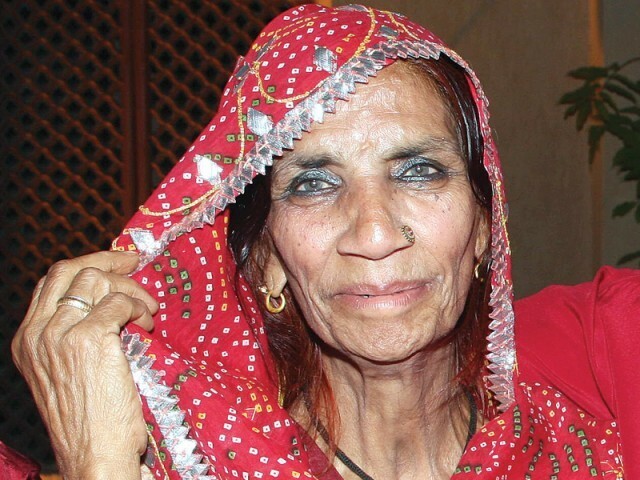 It brought to light the 12-year-old gypsy child who was discovered singing at Shahbaaz Qalandar’s shrine years ago, offering her respects to the mystics of Sindh the only way she knew how – through her folk music. In spite of her later exposure to city-life, media, glamour and so forth, and even after earning so much fame and success, she remained a simple woman, whose rustic and unpretentious demeanour will be missed as much as her soulful music, for years to come. According to folklore, gypsies move on before the grass grows around their tents. True to this legend, Reshma’s haunting voice would ring with a never-ending quest for unseen pastures and a longing for loved ones left behind. One didn’t even need any musical training to feel the sheer simplicity and the raw beauty in her singing. Like many who grew up in the 80s, I came to know about Reshma only after her legendary song Lambi Judaai, in the Indian movie Hero. I still remember listening to that song on a cassette player with my father and rewinding the tape to play it again and again. Even at that young age, I knew that this wasn’t a typical Bollywood song. Her songs would touch chords deep inside you and would leave you feeling lonely, ecstatic, loved or reverent, depending on the emotions that she sang about. Her voice was so unique that I could never visualise an actress lip-synching to it. Hence, most of her tunes were later re-hashed and sung by other renowned singers of India, including Lata Mangeshkar. Another legend, Laxmikant Pyarelal loved Reshma’s voice quality so much that it took a lot of convincing for her to agree to sing one of Reshma’s songs in an Indian movie. Lambi Judai became a raging hit to say the least, and one can see aspiring singers singing it in music competitions and talent shows even to this day! 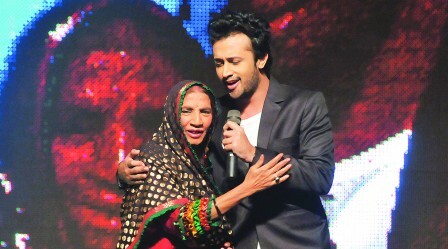 Sadly, all that is gone now and Reshma is no more. The question is, have we as a nation, been fair in giving her due credit in life or not? In my personal opinion, like majority of our legends, including Mehdi Hassan, Zubaida Khanum and Lehri, we did our best to make Reshma feel dead even while she was alive. How did we do that, you ask? Simply by forgetting them while they were still among us. It was not too long ago that one of the channels showed a report about Reshma and her struggles to make ends meet, while fighting a losing battle against cancer. I was almost reduced to tears to see her barely able to speak properly; after all, this was someone whose very voice and tone modulation would mesmerise people. In a broken voice, Reshma tried to explain how the existing government at the time (it was 2012 perhaps) had discontinued her monthly expense fund, which had been initiated by the previous government. To me, it just seemed like a show of power by the very politicians who had perhaps, invited her to sing at their events and parties – an invitation which she might have declined due to health reasons or lack of interest. It sickens me to think that soon every news and entertainment channel will be arranging ‘A Tribute to Reshma’ with an emotionally engaging title like Lambi Judaai or Nahiyon Lagda Dil Mera. Moreover, I can bet anything that these events will be attended by the ‘who’s who’ of the entertainment industry. Old and new singers alike will render their versions of Reshma’s songs, all the while secretly vying for praises for their own songs. I can almost hear some well-rehearsed speeches by actors, singers and so forth, who will pause in all the right places to maximise their speech’s impact on the audience. Then, after this show of pride and accolade is over, we will all go back to our busy lives. However, in spite of the pretentiousness of these tributes, I am certain about one thing – that wherever we are and whatever we are busy doing, we will truly miss her the minute we hear that soulful, haunting voice. Rest in Peace, Reshma. You were one of a kind, truly irreplaceable. wish you people had shown the same respect to Malala also. Yes she was a great artiste, and a great loss to Pakistan. But why exactly are they entitled to free money? Though you put the question to someone else but as a fellow Pakistani. I take the liberty of replying. Music and Singing is Harram in Shariah and Islam.Please see detailed Fatwa. Malala is not culture of subcontinent…thousands ladies ,million times important than Malala died in WWI and WWII,thousands are dying in Somailia,Palestine,Syria,Iraq and Libya,who are talking about them<<<<<<<<<<<<<<<,?